Michel Gay began in 1992 after he and his brother split up their century old family estate and decided to go it alone. Beginning with a meager 6.5 hectares in 92, the domaine has grown a bit to just over 10 hectares today. 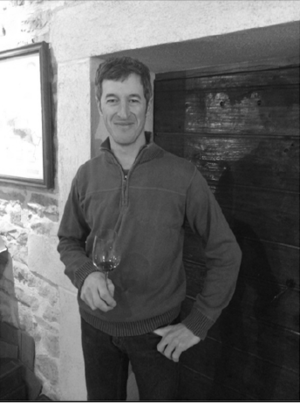 In 2000, the fifth generation winemaker, Sébastien Gay returned to the domaine following his studies in Beaune and immediately set about improving things. The first thing Sébastien did was to eliminate all herbicides in the vineyards and convert to an organic approach. He lives in his vineyards and tends each vine with exacting detail. The results were immediately evident with some sensational 2003’s and with each successive vintage the quality continues to improve here. 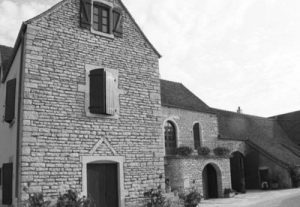 In 2008, Sébastien invested in the domaine’s first sorting table and the quality again was reflected in beautifully balanced wines that year. He has since added a second sorting table and now the harvest sees the two tables in action with a dozen people meticulously sorting each bunch and berry to ensure only the top quality fruit makes the grade. In addition to severe sorting at harvest, Sébastien has shown that he will only bottle the wines he deems up to his family name’s standard and anything that is not is sold to négociants. This small estate in the Cote de Beaune is comprised of vines that average more than 40 years old with many parcels coming in over 60 years of age. Holdings include the always exceptional Chorey‐ les‐Beaune, Aloxe‐Corton, Savigny‐les‐Beaune 1er Crus Serpentières and Vergelesses, three premier crus in Beaune, Toussaints, Coucherias, and Greves, as well as a small plot of Corton in the Renardes vineyard. Recently, Sébastien planted a very small parcel in Coucherias to Chardonnay that has yielded very promising results already. For the vinification, Sébastien ferments all of the wines in tanks of concrete or stainless steel except for the small parcel of Corton which he uses an open top wooden fermenter. The wines are then transferred by gravity to barrels deep below ground where they undergo anywhere from 14 to 18 months elevage before being bottled. Sébastien uses a combination of coopers for his barrels and new wood is kept to below 40% of the cuvee for all wines except the Corton. Once bottled, Sébastien prefers to keep the wines for as much as 1 year before releasing them ensuring that they are that much more ready to drink once they hit the market. The past decade since Sébastien Gay has taken over his family domaine has seen an incredible rise in quality here thanks to his efforts both in the vineyards and the winery and today, boasts a lineup of wines that are simply extraordinary.